Mike and Mike open gushing over the initial iPad sales, and the potential audience for it, including the untapped consumers who've been reluctant or afraid to embrace new technology and devices. 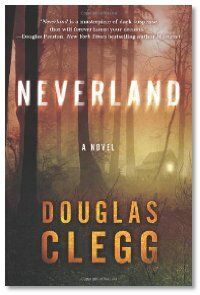 Interview: This week, Mike and Mike talk with Douglas Clegg about his latest novel, Neverland. Doug talks about how much his growing up in the 1960s influenced many of the elements of the story, including the impacts of family secrets and the dark undercurrents that kids experience but don't fully understand. I enjoyed this interview; I don't really know that much about the 60's (beyond a historical aspect, that is) and I find it quite fascinating. My wife and I have been watching Mad Men and have been wondering how much of it was sensationalized for television; it was interesting to hear you guys' reminiscing about your own childhoods in that era.